Digestion begins in the mouth. Chewing your food well and eating slowly helps to release enzymes in your mouth which begin the breakdown of food nutrients. Spend a minimum of 20 seconds for each bite (time it if you need to). Chew your food until it becomes liquid and there is nothing solid left in the mouth. It takes up 20 minutes for your brain and stomach to register feelings of fullness. Therefore, through slow eating, you can avoid overeating. Stay healthy over the holiday season. Cherish each mouthful, and be thankful for the food you have on your plate. Especially around this time of the year when we are surrounded by friends and family, take a moment to be grateful for everything and everyone in your life. Be mindful of the food you are eating and enjoy each bite like it’s the last. It’s beneficial to practice this not only around the holiday season but of course throughout the whole year. Choose a smaller plate for your food instead of a large one. In that way you can still make your plate look full without feeling like you are restricting yourself. In my personal experience, eating a high fibre fruit such as an apple after a meal has really helped to improve my overall digestion and to also reduce stomach acidity problems. Having gastritis and being prone to poor digestion, I found that eating apples has really made a difference to my condition. 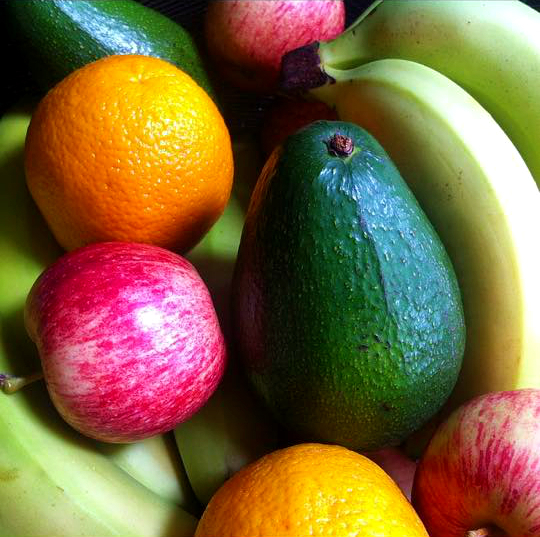 Eating a fruit (which contains natural sugars) after a meal can also help you feel full and satisfied. Therefore making you less likely to want anything more. So if you are always after something sweet once you have finished your lunch or dinner, choose a fruit instead and then see if you still want a dessert. It’s OK to treat yourself once in awhile, of course, and you should not feel like you are restricting yourself. In most cases having a dessert on a regular basis is simply a habit you have developed over time and not something that your body really needs. In fact, your body not only doesn’t need it, but it is better off without it. Particularly when it comes to refined sugar products. In my experience, these seemed to only worsen my digestive problems. Moreover, fruits and vegetables contain vitamins and minerals, which our body needs in order to function well. Citrus fruits, for example, such as oranges, mandarins, lemons and grapefruits are an excellent source of vitamin C, which we all need to consume more of, especially during the cold winter season when we are more susceptible to colds and flues. Apples and other fresh produce are also an excellent source of fibre, which helps in curing constipation. During the winter and holiday season, we tend to eat mostly cooked, prepared meals. In order to stay healthy, it’s also good to maintain a balance and consume plenty of fresh and unprocessed foods. So always remember to incorporate fruits and vegetables in your daily diet, either in the form of a freshly squeezed juice or on their own as a snack or after a meal. Sugar can be found in almost every processed product. Be aware of that and don’t use the holiday season as an excuse to overindulge with chocolate or other confectionery. Instead, have just enough to allow you to cherish the moment of sweetness without making yourself feel sick. This also brings us to the previous point about being grateful (not greedy). In order to stay healthy over the holiday season, it’s important to keep yourself physically active on a daily basis. Make some time to either exercise and move at home, or even better, go for a jog outside! Fresh air (which contains more negative ions) can help you to feel more alert and energetic as well as to improve your overall mood. Staying indoors all day (where the air is mostly positively-charged) on the other hand, will make you feel tired and sluggish, especially after a meal. A simple walk outside can also help improve your digestion. I found that my digestive system works so much more effectively if I move instead of just sit in one place. Another example of physical activity also includes practicing yoga. 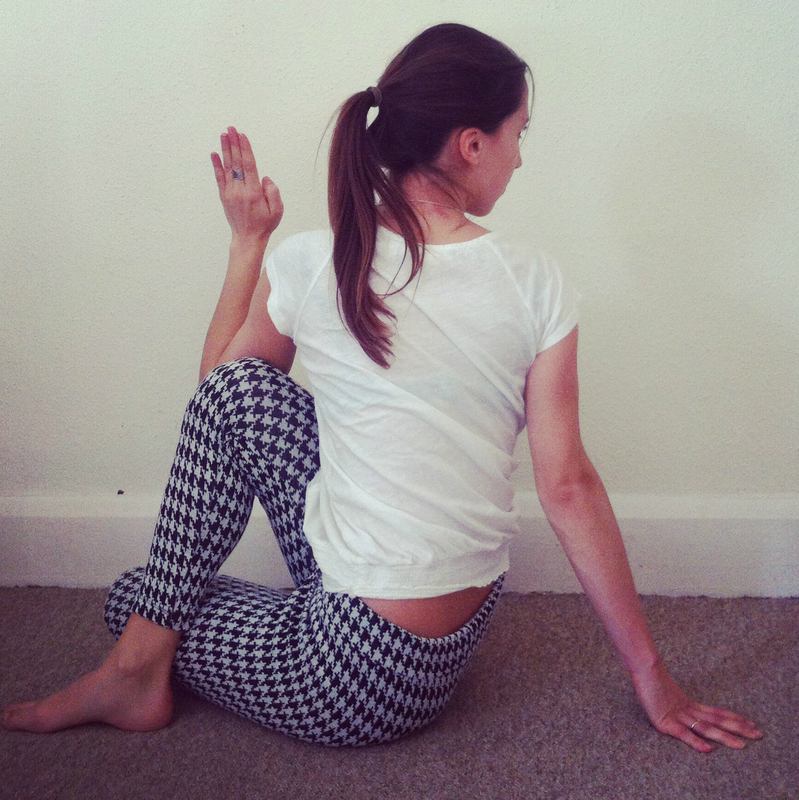 This will help to maintain your body’s strength, flexibility and mobility around the joints.